J.J. Micro specializes in small and medium sized businesses. We support company sizes ranging from 1 user to 40 or more users. Our attention to customer service is what sets us apart. We respond quickly to calls, text messages, and emails. We strive to be your personal IT support company. Are you ready to experience our world class customer service? Click here for more information about PracticeProtect. If you are a medical doctor, dentist, or chiropractor; or if you handle patient medical information in any way, you are affected by the laws surrounding HIPAA. J.J. Micro makes it easy to work towards full HIPAA compliance with our PracticeProtect™ service plan. We will work with your practice to document a HIPAA plan that can help you avoid the hefty fines that come with non-compliance. Did you know in 2016 the OCR (Office for Civil Rights) started proactive audits of businesses that are required to be HIPAA compliant? This means that they will be contacting you to ask you about your existing compliance plan. If you don't have one, they will conduct a full HIPAA audit and could levy a large fine on your practice. Let J.J. Micro help bring you into compliance now before it's too late. J.J. Micro works with many organizations that must be HIPAA compliant. We have experience designing HIPAA compliance plans and we know how to handle PHI (Protected Health Information) properly. We will sign a BAA (Business Associate Agreement) with your practice. BAAs are required for any 3rd party that may come into contact with your PHI. 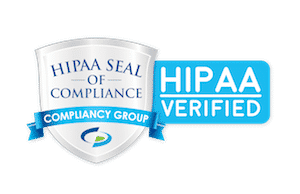 If you don't have a BAA on file with your current IT provider, you should question that provider's commitment to HIPAA compliance. Is your practice HIPAA compliant? We will provide a free HIPAA compliance consultation to help you find out. Get started today with PracticeProtect™ so you can spend more time doing what you do best, treating your patients. When you need a custom solution, you can depend on J.J. Micro to create a solution that fits your requirements. We pride ourselves on prompt, professional communication. We're ready any time you need us. With over 45 years of combined experience, we have the knowledge to support and guide your technology needs. J.J. Micro understands your committment to success because we're a small business just like those we support. Our team isn't just available 9 to 5. We have the flexibility to keep your operations free from interruption. Each of us eats, sleeps, and breathes technology. It's not just our business, it's our passion. We provide IT consulting services, computer and network maintenance services, and computer repair to small and medium sized businesses. We design, procure parts for, and install network infrastructure. Networks range from small wireless only networks to large wired and wireless hybrid networks. We implement setups ranging from simple file servers to fully virtualized servers. We will keep your existing servers running at maximum efficiency. And when it's time to upgrade, we will find the best solution to fit your growing needs. If your company needs a website, we will help. Whether it's a simple informational website or an e-commerce solution, we will work with you to achieve your vision. What would you do if a disaster struck? Do you have plans in place to recover your data and get back to business in a timely manner? We will help design a plan that keeps your business safe. From online data backup to fully virtualized servers in the cloud, we will design a solution that is cost effective and efficient. We have multiple HIPAA certifications and know how to handle patient data properly. We will help you to stop PHI breaches by hardening your systems against outside attacks and helping you develop a HIPAA compliance plan. J. J. Micro started as an idea. That idea was to provide clients with a level of customer service they can't get anywhere else. We have grown from one client to over 100 clients by word of mouth only. Our clients see the value of our expertise and our customer service and want to share it with others. As we expanded, we found the need for more infrastructure. We now maintain servers in Missouri and Oregon to mitigate the risk of natural disaster affecting our clients' business. As our clients and client list have grown we have added talented new personel. Our clients feel safe knowing that as they grow, we maintain the ability to provide great support without sacrificing our world class customer service. We are experts in wired, wireless, and VPN networking. We will plan a small local network to share internet access throughout your building. Or we will setup a system to keep all of your devices connected across many locations. We are experts in Windows Server 2008 and 2012. Whether you need local servers or cloud servers; or if your needs are simple or complex, we will custom tailor a solution to fit your performance and budget needs. We are experts in Windows 7, Windows 8, Windows 10, and Mac OSX. Whether you need a single workstation installed or all of your workstations upgraded, we have the experience to make the process a smooth one for your business. We hold multiple HIPAA certifications and have experience in the prevention of Personal Healthcare Information breaches. We will help you design a HIPAA compliance plan. Or if you already have a plan in place, we will do a free HIPAA compliance technology audit to ensure that you are fully protected. "J.J. Micro has always answered our phone calls and always been able to help with any problems same day. J.J. Micro has always been able to deal with any problem that has arisen and been able to answer any question we have regarding our system." "J.J. Micro is always prompt and courteous. They always answer the phone when I call and they respond quickly to emails and even text messages. My problems are always resolved swiftly and effectively. Their technical knowledge always exceed my expectations." "J.J. Micro has always made the effort to set up a time and day for an appointment that exhibits their importance of promptness and needs of the customer. J.J. Micro has exhibited a great level of professionalism and ease in working with customers on all levels of technical knowledge." "The main reason we kept coming back to you and your company in the beginning is that we felt you have our best interest in mind. There are usually more than one way to solve problems but you have alway been aware of our budget and have worked well within our budget constraints." Click here to see our HIPAA compliant PracticeProtect™ plans. Schedule a free HIPAA Technology Audit Today! With PracticeProtect™ we will help your practice become more HIPAA compliant. We cover the following areas: St. Charles, O'Fallon, Wentzville, St. Peters, Chesterfield, West County, St. Louis County, Washington, Warrenton and more.